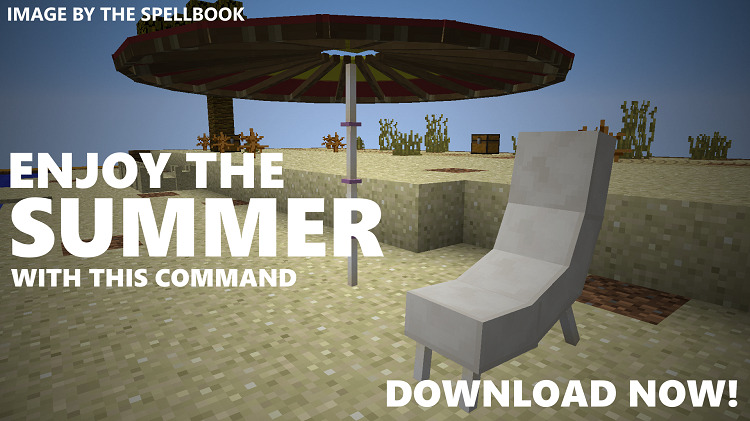 Summer Decorations Command Block adds in Decorations that you’re able to add to your beaches. 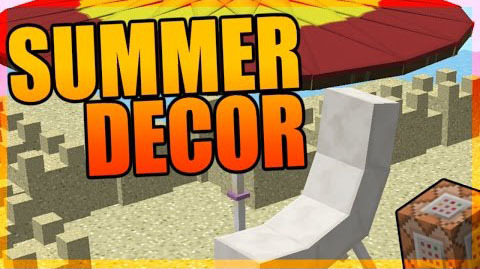 These include Beach Chairs, Parasols, Lifeguard Chairs and Sand Castles. Parasol: 4 sticks, 10 red dye and 10 white banners. Beach Chair: 4 sticks, 4 quartz slabs. 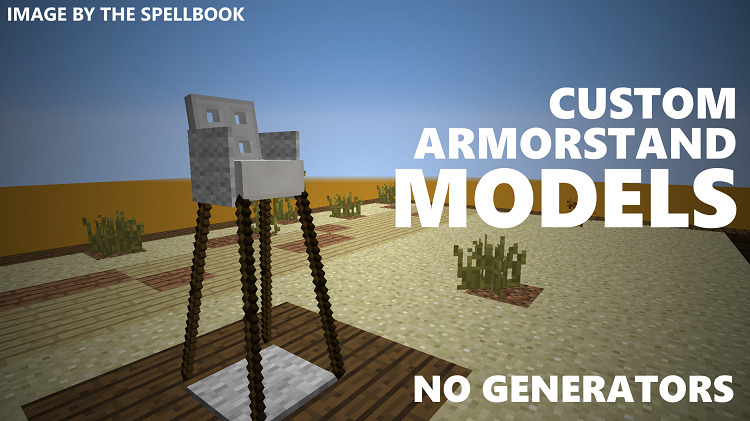 Lifeguard Chair: 3 iron trapdoors, 8 sticks and 1 quartz slab. Sand Castle: 2 sand and one wooden shovel. Just click the “DESTROY” sign on the machine. If you do this, the drumkit will stay into your world. You can’t remove it or use the spawn egg though. Watch out, if you use that, you won’t get the spawn eggs back from the placed decorations.